The CPA International Research Chair in Management Control wants to bridge the gap between theoretical knowledge and the reality of organizations. Its network of partner organizations provides highly diversified and fertile research grounds for researchers and students who want to adapt existing management knowledge and tools or develop new ones to solve complex problems experienced by organizations. In addition to the roundtables organized by the Chair, such field experiences help management control practices evolve through, among other things, the dissemination of previously unpublished knowledge in popularized form and teaching materials that are relevant and current, and reflect the needs of organizations. Organizations who wish to be informed of the Chair’s activities and collaborate in our work by welcoming interns or taking part in our comparative studies or particular roundtables can contact us. Jerman, L. et Sponem, S. (2018). Définition(s) comptables(s) de la performance. Une étude du travail de présentation et d’explication des directeurs financiers. Mohanna, D., Sponem, S. et Grange, C. (2017). Analyse comparative : Le rôle des contrôleurs et chefs des finances dans le pilotage des projets TI. 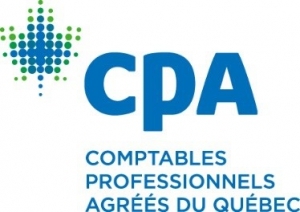 HEC Montréal : Chaire internationale CPA de recherche en contrôle de gestion, CICPA 16-02. ISSN : 2291 – 1596. With nearly 42,000 members and candidates to the profession, the Order ensures the protection of the public and provides leadership to the accounting profession. Cirque du Soleil is a Quebec-based company recognized internationally for its high-quality, artistic entertainment. A leader in corporate performance management, DECIMAL aims to be benchmark for costing and budgeting in large public and private organisations in the Canadian and North American markets. Headquartered in Longueuil, Québec, Héroux-Devtek is a globally active company serving the Aerospace and Industrial Products markets from twelve production facilities in North America. Raymond Chabot Grant Thornton has been serving small, medium and large companies in every sector of activity for more than 60 years. Transcontinental Inc. is the “parent” of a group of companies focusing on the print and media sectors. One of the 10 largest commercial printers in North America, Transcontinental is Canada’s largest printer of flyers, books and newspapers, and a strong second in the printing of magazines, catalogues and directories.